The electronic drums missing link. The Trigger|iO is the easiest way to connect electronic drum and cymbal pads or acoustic drum triggers to a wide range of MIDI sound sources. Use up to ten trigger inputs to play traditional MIDI devices like drum machines, sound modules and synthesizers, or connect the USB output directly to your computer to play software drum modules or lay down tracks in your favorite MIDI sequencer application. 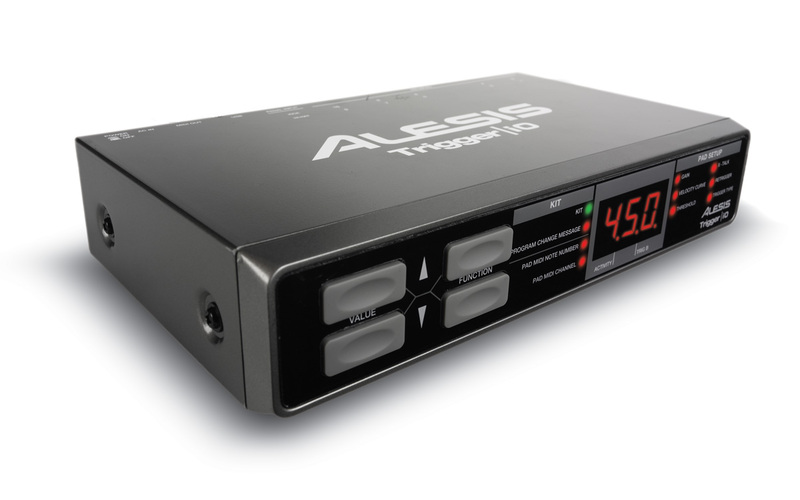 You can capture every nuance of your drumming performance into the MIDI world using the Trigger|iO. Featuring both USB-MIDI and traditional DIN MIDI connectivity, you can use the Trigger|iO with a wide variety of gear. The inteface has ten TRS trigger inputs so you can use it with single or dual-zone pads and triggers, and even split the inputs with Y-cables for even larger custom setups. You can also use the Trigger|iO to expand the pad inputs of virtually and drum module from any manufacturer. The Trigger|iO has a hi-hat control input that works with both continuous and switch-style hi-hat pedals so you can deliver all of the open-to-closed detail you’re used to on the hi-hat. 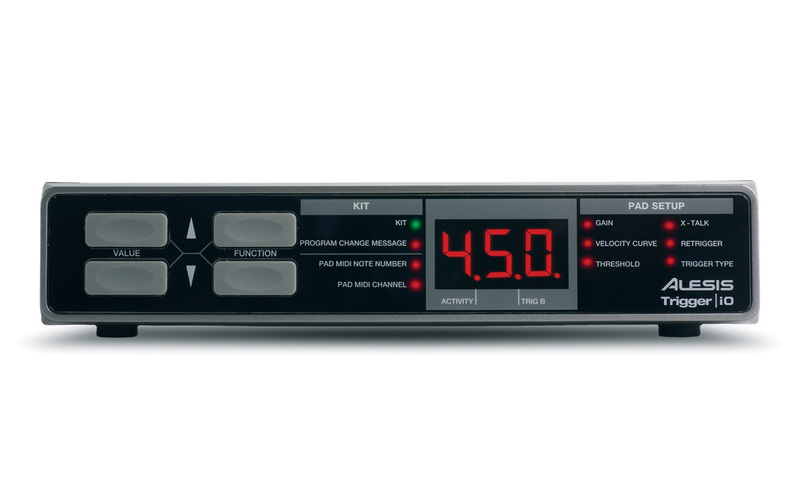 It also has a footswitch input for controlling other parameters like changing kits with your foot. You can create up to 20 setups and store them in the Trigger|iO's memory. Advanced customizable programming capabilities include sensitivity, MIDI-channel assignment, note number, crosstalk, velocity curve, threshold, retrigger time and pad type. The Trigger|iO works plug-and-play with Mac and PC, and is powered by its USB connection when working with a computer. 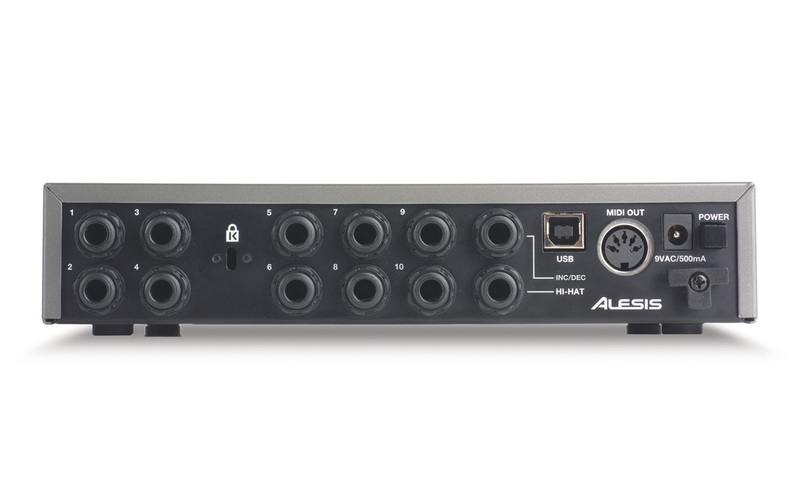 You can also wall-power it when working with non-USB MIDI sound sources. You can mount the Trigger|iO on virtually stand or rack using the optional E-Percussion Module Mount and integrate it cleanly into your drum set or percussion setup. The Trigger|iO comes with EZdrummer LITE software drum module from Toontrack. EZdrummer LITE has samples of real drum kits, a virtual mixer, and looping functions. The Trigger|iO enables you to play virtually any MIDI software or hardware with your electronic drum kit.